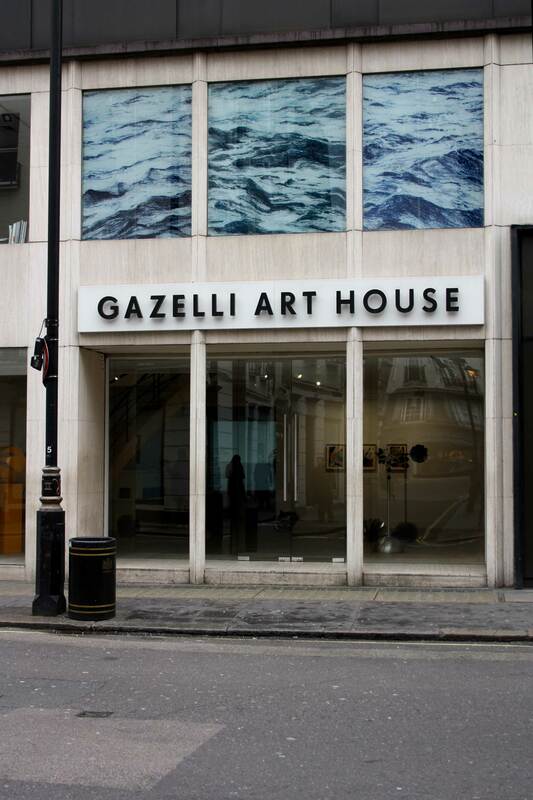 Ana Beatriz Fernandes, recent graduate from the University of Lisbon, Portugal is announced as the winner of the March 2016 Gazelli Art House Window Project. 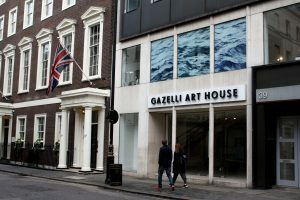 Selected amongst applicants from various art institutions responding to an open call, Ana Beatriz Fernandes is the third artist to display her work on the Gazelli Art House Window Project since its new concept – where MA/post-graduate students are invited to display their works on the gallery’s frontage, providing an opportunity for graduate talents and emerging artists to present a body of work on a quarterly basis on the Dover Street gallery’s window space for the duration of 3 weeks. 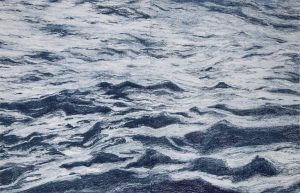 Ana Beatriz Fernandes marks the inniative by the gallery to extend the invitation beyond the UK to encompass MA/post-graduate students from Europe and the U.S.
A panel selection served as an independent committee comprising of Art Critic Julia Langbein, and collector Leslie O’Neil. 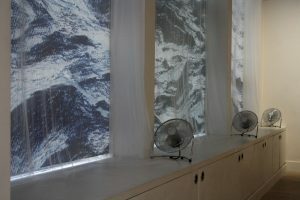 This quarter’s winner Ana Beatriz Fernandes, presents a projection of five images onto an oscillating translucent veil on the first floor windows of the gallery. 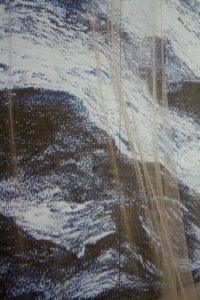 Conveying movement as the fabric swings, the projected photographic images taken from a series of drawings entitled Memory of a non-place, feature a collection of non-referential imagery which guide the audience through a journey where traditional notions of time and identity are no longer present. 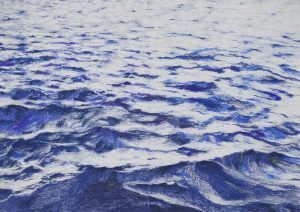 Visually conveying the sea, Memory of a non-place blurs these boundaries, to create an uncanny feeling of familiarity.